Have you ever wanted to get some climbing experience without the crowds and the heat of the Georgia summer? Mount Yonah, in the Chattahooche River National Recreation Area outside of Helen in northeast Georgia, makes an ideal place to perfect your climbing skills during January, February and March. Mount Yonah, more correctly Yonah Mountain, is named for the Cherokee word for "bear." The 3,166-foot, granite mountain is popular with climbers year round, but the summit and climbing routes are particularly beautiful (and uncrowded) in the winter months. Mount Yonah is a good mountain for beginning and intermediate climbers. Its many ledges make good places for novice climbers to stop and re-group, unhook and untangle their lines if they run into trouble. In fact, the U.S. Arny Rangers based at nearby Camp Merril uses the mountain as one of their training locations. The granite mountain is a local landmark and the distinctive main face can be seen from miles away. There are four main climbing areas: the Main Face, the X Walls, the Lowers and the Bouldering areas. The mountain offers a number of climbing routes, most of which are in the 5.5 to 5.7 difficulty range and are well marked with cables, lines and other features. Some routes have been marked even more clearly by the U.S. Rangers during their training. A variety of climbing is available on Mount Yonah, including friction slabs, cracks, top rope areas, juggy face climbs and sport routes. No permit is required to climb Mount Yonah and admission to the Chattahoochee River National Recreation Area is $3 per vehicle. Depending on which route you take to the climbing area, you may not even have to pay that fee. It's a good idea to call the Camp Merril training office in advance (706-864-3327), as the U.S. Rangers occasionally close the mountain to hold their training exercises. If you are an avid rock climber and have never scaled up the face of Mt. Yonah then you are in for a serious treat. It is understood that this is not the most technical climbing, but if you are looking for beautiful scenery combined with solid granite wall climbing that is close proximity to Atlanta then this will be a perfect location for you. Climbing has always been a passion of mine and it is very similar to surfing and fly-fishing in that it has taken me all over the world to many beautiful places. There is a tremendous challenge associated with climbing as it demands and incredible mental focus as well as a powerful physical component. No matter how great you are at climbing there is always another level that you can push yourself. If you are willing, then the climbing in North Georgia will give you a run for your money. There is really something about the Appalachian Mountains that keeps calling me back for more adventure. I can promise you that if you are open to explore the climbing near Helen it will be an experience you will never forget. Again the climbing is not overly technical, but the long drawn out routes get your heart pounding for sure! A few of our friends have invited us several times to climb at the largest indoor climbing gym in the country name Stone Summit and now we have realized what a great opportunity it will be to take them to climb Mt. Yona as well. Even if you are not a climber the majestic view from the top of Mt. Yonah is worth the trip. There are many people who choose to take the hike up the mountain instead of straight up it's cliff faces and the view is the same either way. This sharp looking peak has been the location for many beginners to complete their first outdoor rock climb and has great routes for the beginner and expert to challenge their abilities. No matter what the level of climber you are it is always a treat to have Helen Cabin Rentals to come home to after a long day on the wall. As you may know there are not only different levels of climbing and a huge part of advancing in your level of climbing is being able to lead routes. Some prefer the bolted routes that have been pre-set with metal bolts drilled into the walls so that you have an anchor point to attach your quick draw while scaling the route. Other more purist climbers utilize cams that are springloaded and can be placed into the cracks of the rock face and will brace ones fall if placed correctly. As you can imagine while climbing a difficult route the difference in being able to hook into a already placed bolt as compared to trying to find a location to insert a device is a whole new game. There are plenty of both routes on Mt. Yonah and as you have read this place is for all skill levels and can accommodate just about any rock climbing enthusiast. A fantastic place to find more information on climbing at this destination is in the Dixie Craggers Guide as well as this helpful website for maps by Michael Crowder. For the most part the climbs at Mt. Yonah are single pitch, but there a quite a few multi pitch routes for those that really want to get after it. Remember always to take plenty of water and snacks on this trip I will never forget the experience of being dehydrated on climbs before or just plain out starving with plenty of light left in the day. Whatever the occasion may be I am sure that you with thoroughly enjoy your time to this climbing destination and if at all possible do your best to plan your trip when there is still a cool breeze in the air. Although there are plenty of climbs that are shaded everyone will be much more comfortable in the Spring or Fall not to mention that these are the most beautiful times in North Georgia. Winter is a great time to climb Mount Yonah. The air is cool and crisp; the skies are clear and blue and the trails are uncrowded. However, climbing in the winter does require a little bit more advance preparation than climbing during warm weather. Georgia weather tends to start cool in the winter and heat up as the day progresses. Plus, although you're not likely to find snow at the summit of Mount Yonah, the temperature there will usually be around 20 degrees cooler than at the base of the mountain. Winter can also be wet in north Georgia. Be prepared for a pop-up shower. Getting to the climbing area takes about an hour. There are two ways to get to the mountain. You can take the trail that starts at Chambers Road. The 1.5-mile trail is fairly strenuous, gaining 1,400 feet in elevation before reaching the Lowers of the mountain. Continue on uphill along the trail to reach the Main Face. There are also side trails off of the main trail that will take you over to adjacent Pink Mountain on your way down the mountain. 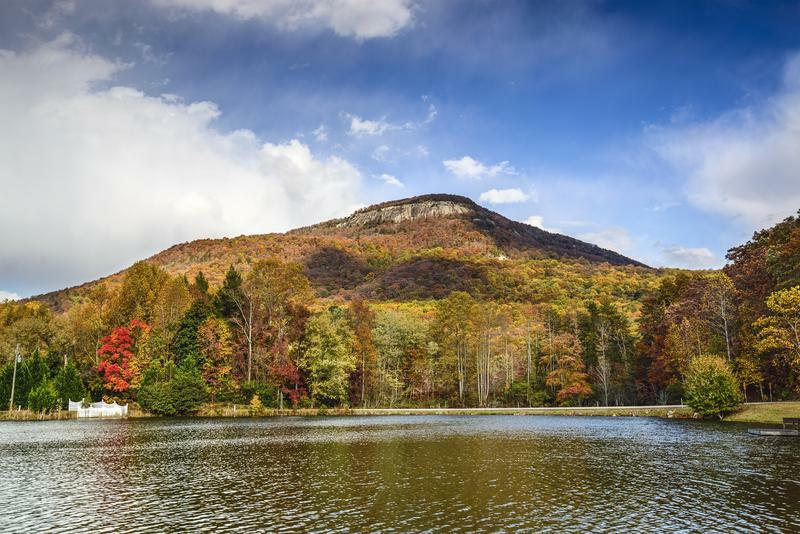 Primitive campsites are available at the staging area of Mount Yonah and are free. There are outdoor toilet facilities, but no water. No reservations are taken for the sites. They operate on a first-come, first-served basis. 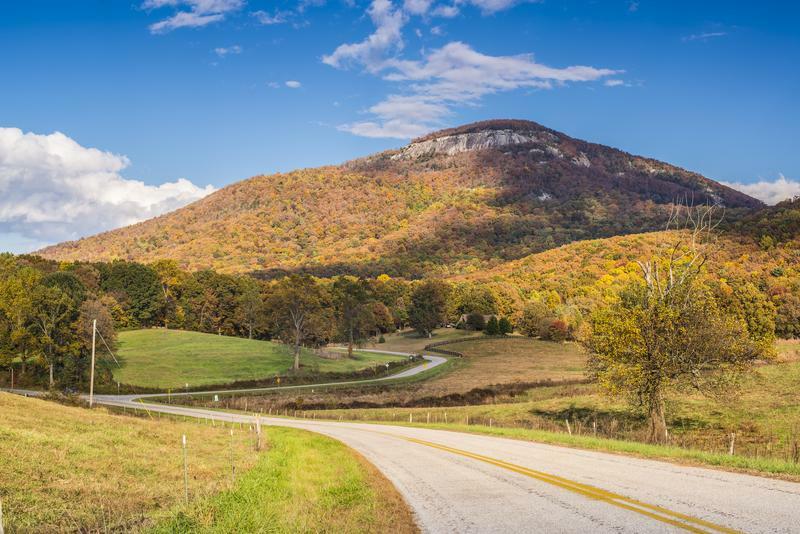 There is also an affordable RV Park just off of Yonah Mountain Road. Of all the many things to do in Helen, hiking is one of the most popular choices among visitors. There is no better way to experience the full view of the northern Georgia mountains than venturing out onto one of the many trails in the area. One trail in particular is the Yonah Mountain Hiking Trail. This trail is open year round for you to enjoy. You can even bring your dog along if you would like. Imagine a sunset that goes on for miles and a gorgeous view of the rolling hills from a peak high upon the northern Georgia mountains. That is just a taste of what you will see on the Yonah Mountain hiking trail. All along the route there are overlooks of the countryside and plenty of areas to explore. As you reach the top of the mountain, you will step into a grassy knoll. Here is where you will find the last portion of the trail which leads to the summit. There are also ledges that you can step onto that offer amazing photo opportunities. Someone mentioned that when you step onto the ledge, it looks like you are sitting on the skyline. Indeed it does. The view is spectacular. However, if you are afraid of heights you may have to crawl to the edge or view it from afar. This 2.3 mile loop near Cleveland, GA takes you up through the lush forest to the top of Mount Yonah. The climb is short but steep, making it a great trail for moderate climbers. Someone summed this up well by saying "Not for beginners, but great for climbers!" Adding to the strenuous nature of the climb, are the many rocks that you will encounter along the way. For this reason, be sure to wear good quality shoes. Also, keep an eye out for occasional bicyclists who enjoy this trail as well. Summer is still in full swing in Helen Georgia. From August to October the weather is ideal for outdoor activities. The temperature is warm and comfortable, ranging from the mid 80s to 90's during the daytime hours. The evening hours typically drop into the 50s. Although August is generally humid in the area, the moisture begins to gradually lessen leading into the driest month of the year, October. 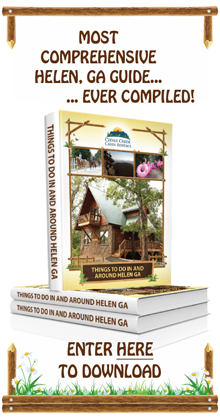 This moderate weather makes this part of the year an excellent time to visit the many Helen GA attractions. On any hike, it is important to go prepared. Since there is still a slight possibility of rain during these months, it would be a good idea to bring a light rain jacket. This would also be helpful if your stay lingers on into the evening hours, which may happen if you want to see the magnificent sunset. Also, be sure to bring a map of the area, a healthy snack and plenty of water. Additionally, as an added safety precaution, let someone know where you are headed before venturing off. Helen GA is only 6 miles northeast of the Yonah Mountain trailhead. From Cedar Creek, you would head southwest on Zeppelin Strasse. Once you reach Brucken Strasse turn left. Turn left again onto Edelweiss which will take you to Hwy 75 in Helen. Turn left on Hwy 75 and continue on for about 4 miles. Directly after you pass the Yonah Mountain Campground, you will see Tom Bell Road on your left. Follow this road to Chambers Road. Chambers Road will take you to Forest Service Road 323, which will lead you directly to the trailhead. 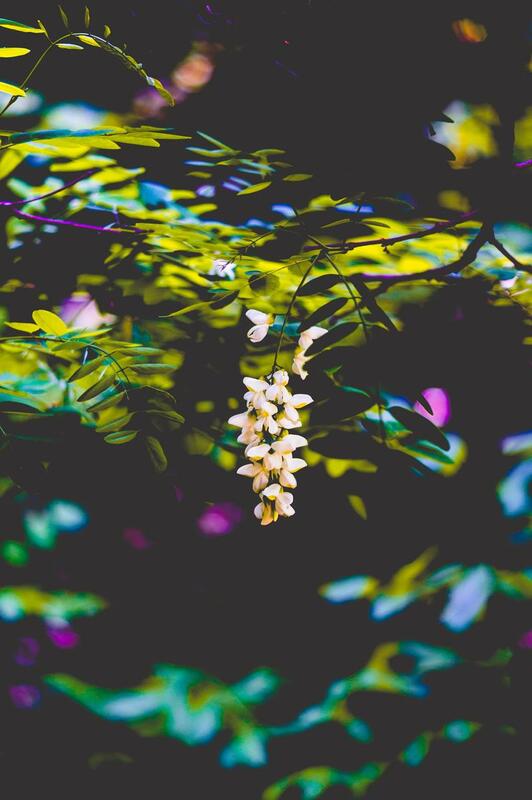 As you visit the many Helen GA attractions, be sure to reserve a couple of hours to experience the beauty found along the Yonah Mountain hiking trail. When you do, you will certainly leave with many memories and stunning photos to share. 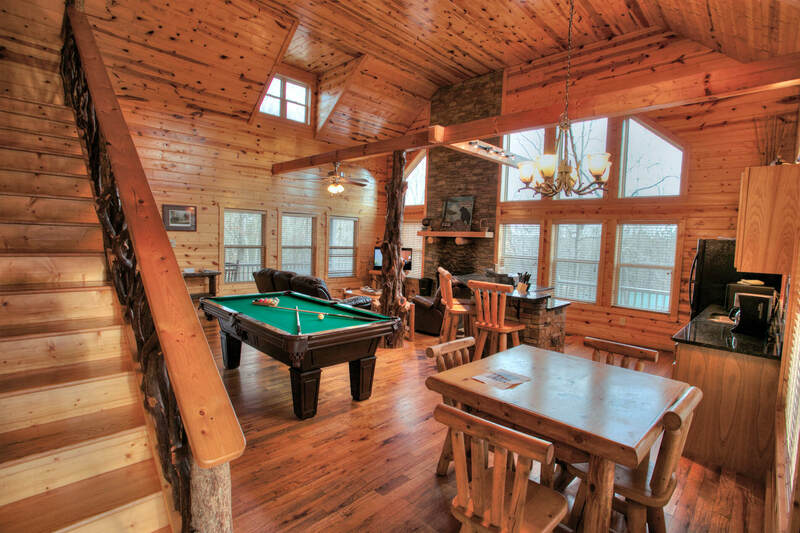 If you'd rather opt for more creative comforts after your day of climbing, we offer a variety of cabin rentals nearby, ranging from one-bedrooms with lofts to spacious five-bedroom homes. With a a large number of units in the area, we'll help you choose the cabin that best fits your climbing group's needs and budget. Many of our units are pet-friendly, so you don't have to leave your best friend at home. 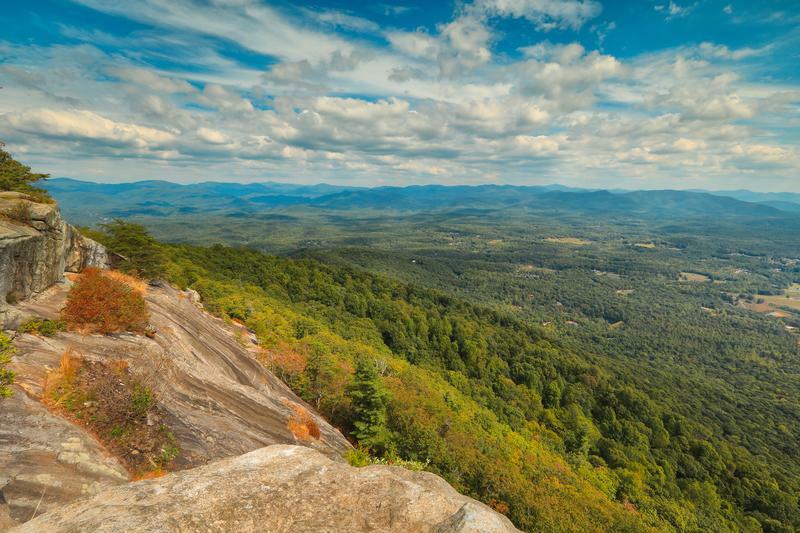 Have you climbed Mount Yonah? What did you enjoy most about your experience? Share your thoughts with our readers by leaving a comment below.